Follow these 5 men’s summer fashion tips and save yourself from being accosted by the” fashion police”, or worse yet, your wife! You will most likely have to wear your standard “work wear” during business hours, but hopefully that does not necessarily mean suit and tie. (Oh, and the price of wool is expected to rise 10%, so the price of suits is expected to rise as well). Nice, pressed khaki’s and a polo or open button-down shirt always looks great. 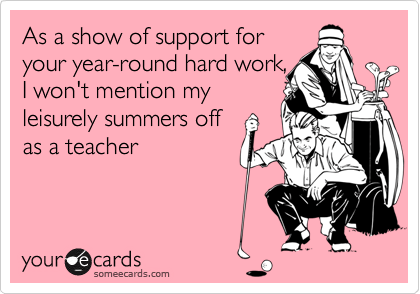 As for the weekends or “off-work” hours, unfortunately the carefree days of summer are not responsibility- free like they were when you were five. This is where the fashion problems begin! “This means you need to stop dressing like you are 11 in cut off shorts and filthy T-shirts, even if they are your favorites, or somehow lucky”…and consider yourself lucky you no longer have to wear cut-offs and t-shirts with silly slogans on them! 1. Go for colors this season. 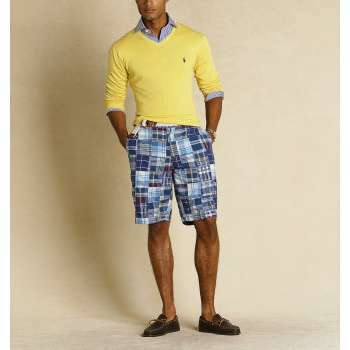 Polo shirts, dress shirts and T-shirts chosen in light colorful fabrics look fresh and cool. White is always a good, solid choice. You can’t go wrong stocking up on plain white T-shirts, but venture out and find a color that suits your skin tone. Blue and yellow always work. You can stick to the solids, but if you are prone to sweating, try a pattern that will mask any “marks” you don’t want seen. 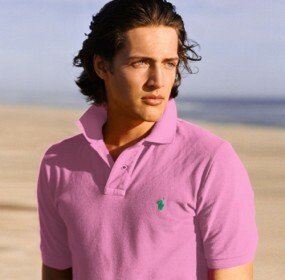 Pink and Purple are my favorite solid polo and dress shirt colors for men. Hands down. And, please, leave the slogan T’s to the grade schoolers… if you are really with “stupid” everyone will eventually know. 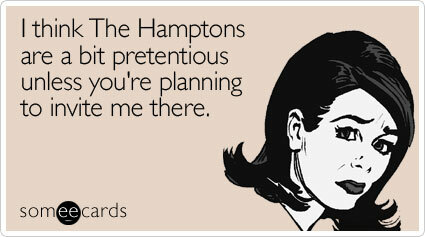 (Not sure who said that, but it is indeed, True). 2. Wear a decent pair of shorts. If you heed none of the other men’s summer fashion tips, please comply with this one category. Cut-offs are simply not attractive. If you really love them and refuse to part with these fringed articles of clothing, at least give them a job, designate them as “grass cutting shorts.” Bike shorts are obscene and should only be worn when physically on a long distance bike trip. Even if you look fabulous in them, which is highly suspect, leave something to the imagination, please. And if you haven’t seen the episode of Modern Family where Cam is wearing biks shorts, you owe it to yourself to go to Hulu and watch it. A true Classic! 3. Purchase a good pair of sunglasses. Stylish sunglasses do more than just look nice perched on your nose, they protect your eyes and skin. This is a long term men’s summer fashion tip. Protecting the sensitive skin around your eyes will allow you to look younger longer. 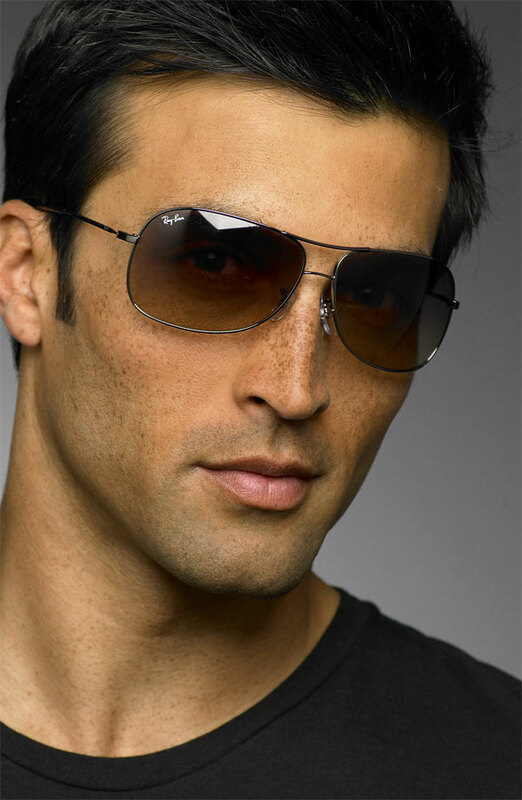 Aviator glasses are in right now and look fantastic on most men. Admittedly, anything will look good on this gentleman, but he also rocks these Aviators. 4. Take off your socks. 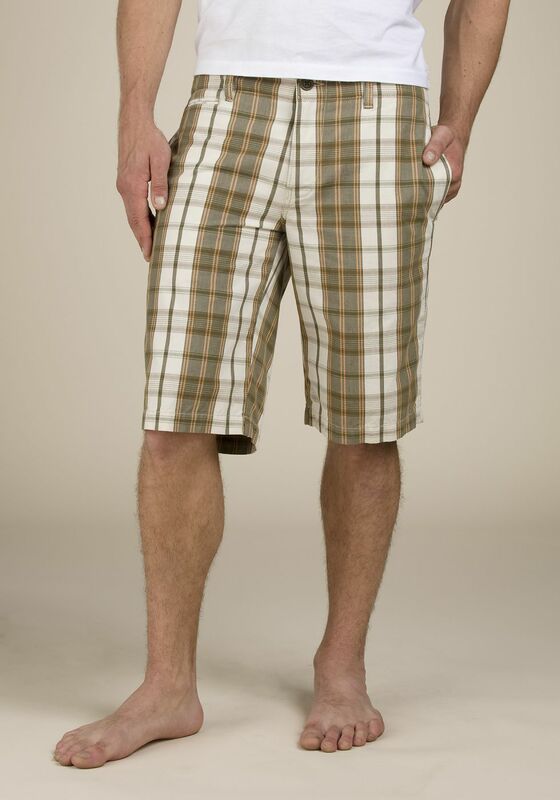 This is a men’s summer fashion tip that is well known, but often not followed. Do not think that you are an exception. Do not attempt to appear quirky or off beat by wearing white socks with your sandals. Give your toes some fresh air, but this fashion tip also comes with an order. If you are going to wear sandals, take time to care for your toes and feet. Not just for metrosexuals, even a home pedicure is simply good grooming and consideration for all those around you. 🙂 And, those who know me, know I am NOT a fan, of men in sandals…but I do realize in the hot summer months, sometimes it cannot be avoided. Just please don’t wear them with socks…or with suits! 5. Change your belt. An easy men’s summer fashion tip is to change from your leather belt to a more casual canvas belt. This lightens up the look of your jeans or khaki pants or shorts. 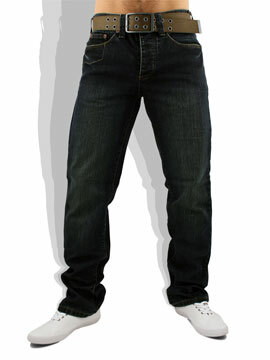 Changing to a lighter weight jean and dress pant will help the transition and your level of perspiration too. The Mark Twain quote is an excellent summation of this blog . . . Thanks!